What trailer hub do I need to purchase? This is a question that comes up quite often in Champion’s business. Some people may trouble in determining what trailer hub to purchase. Just follow the easy steps below and you will get the hub you need for your trailer. The first thing in moving forward with purchasing a trailer hub is to determine which hub you need to order for your trailer. Getting the correct hub for your trailer is easier than you think. The easiest way to make sure you are getting the correct hub it to remove it from the trailer. Next you will remove the front and rear bearings and seal (without damage). Once you remove the bearings you will be able to read a number off the back of the bearing or measure the inside dimension of the bearing. Call Champion with this information and we can get the right hub for your application. Step 1. The numbers on the back of a trailer bearing correspond to a certain spindle size, and this is the easiest way to determine the correct hub. If a number is not legible on the bearing then you will need a micrometer to measure the inside dimension of the bearing. Step 2. Determine the correct seal. This is an important part as well since the seal is what helps to keep the grease inside of the trailer hub. Some seals have numbers stamped for easy cross reference, and others require taking measurement. If you have to measure the seal then you will measure the inside and the outside diameter. There can be between one to three seals that work for certain bearing combinations which is why only using the inside or the outside dimension is not recommended. Most trailers will use a standard double lip seal if they are using a grease application, and those using oil will need a triple lip seal or even a unitized oil seal. Step 3. 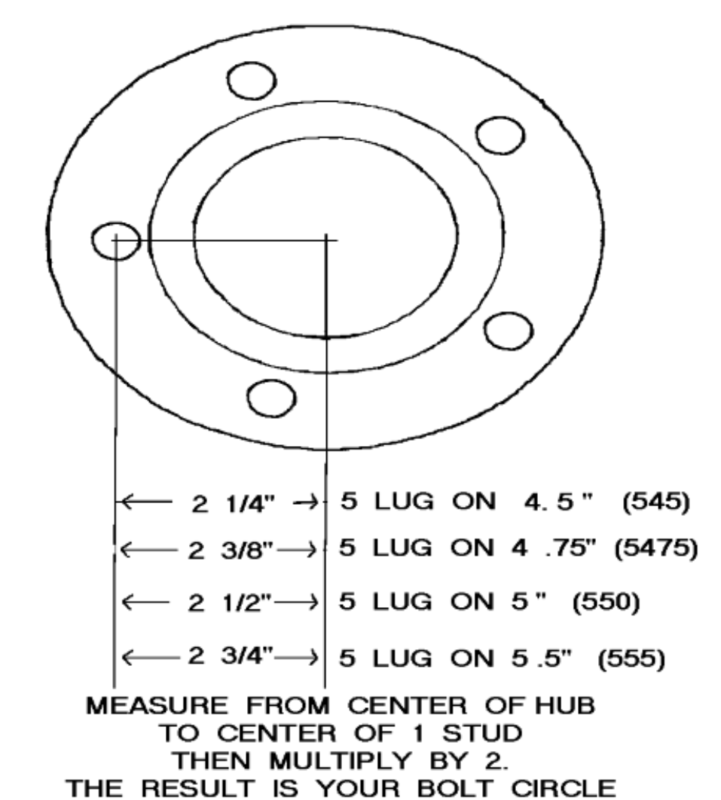 Check to see how many studs are on your hub. Trailer hubs come with 4, 5, 6, and 8 studs depending upon the capacity of the trailer axle. If you have a hub that has 5 studs then there is a little more work to, so move to Step 4. If you have 4, 6, or 8 studs your work is done and you should be able to purchase the correct hub! Step 4. Check your bolt pattern.